B&B Fireworks is a family owned fireworks retailer located in Wheeler, Wisconsin offering a huge selection of high-quality name-brand fireworks at great prices. 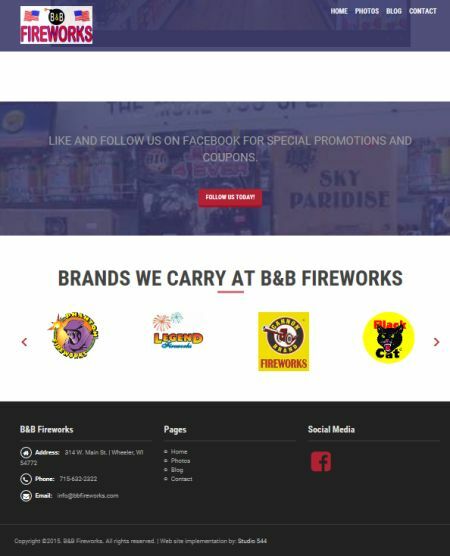 Although B&B Fireworks already had been using a basic Facebook page to promote their business, this was the first web site for their store. 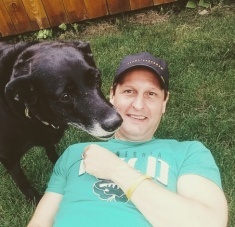 The new site consists of custom graphics, online newsletter signup form via MailChimp, animated slide show, photo gallery and more.